As I type these sentences in March of 2010, the U.S. government seems poised to pass a major health care overhaul, with the aim of providing coverage to more of the uninsured. 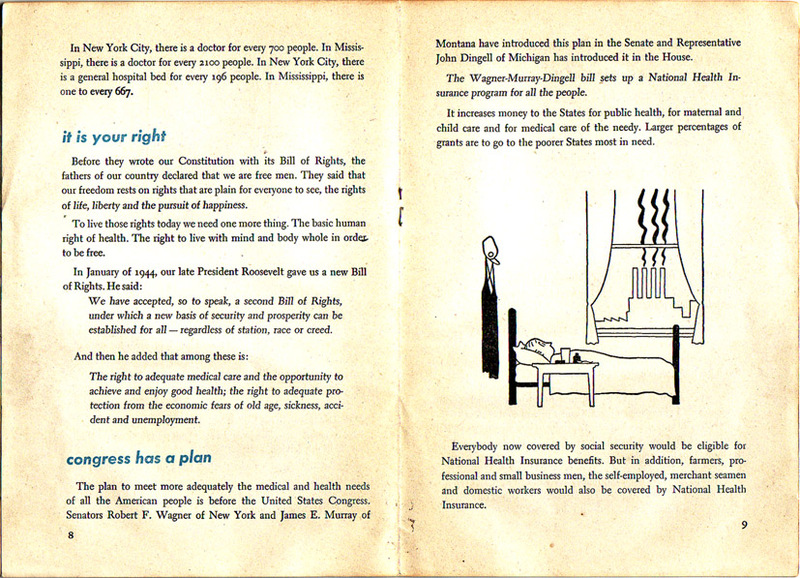 This legislation is not as comprehensive as what was proposed by the Wagner-Murray-Dingell Bill of 1946. 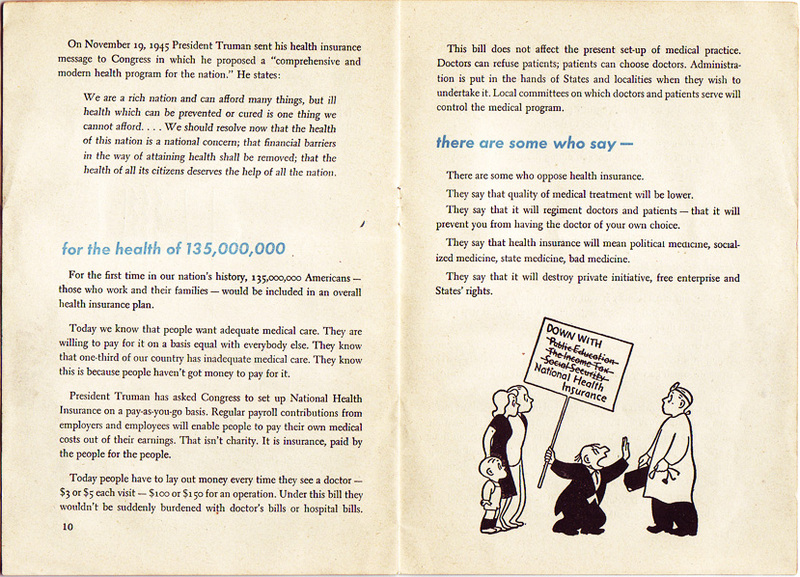 As you'll see, the arguments for and against a national health care system are remarkably similar to those being proposed today. 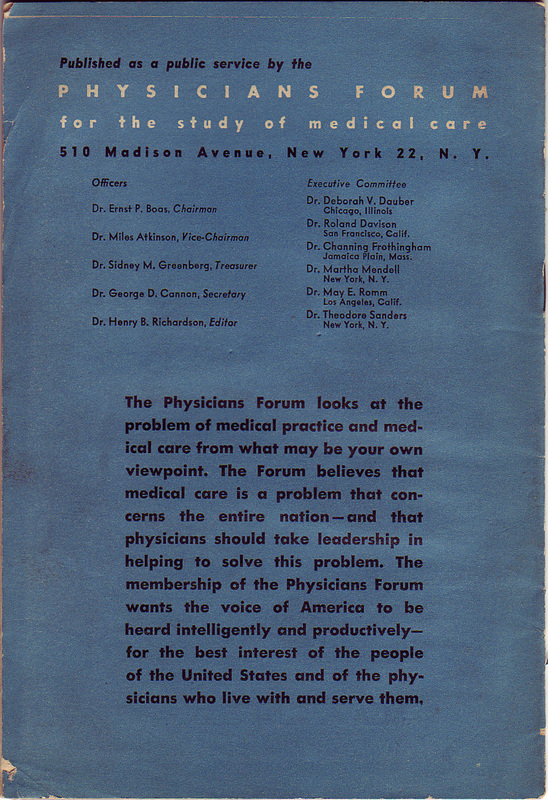 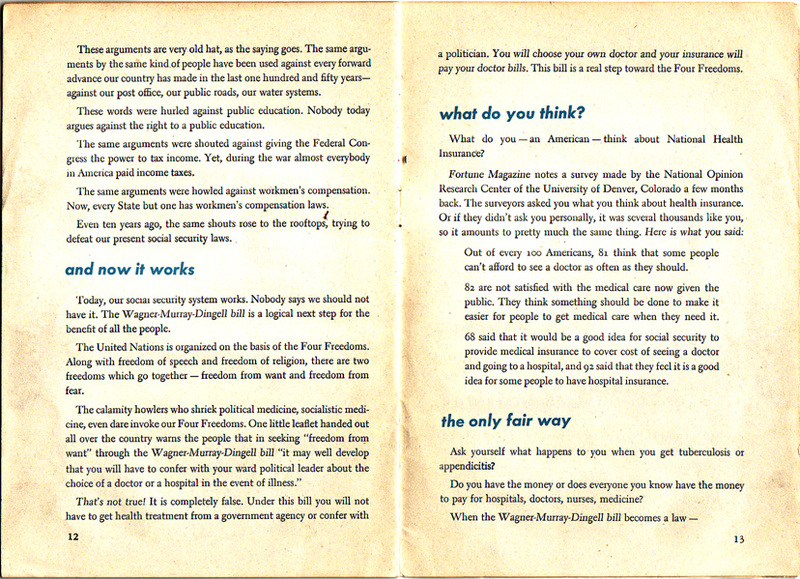 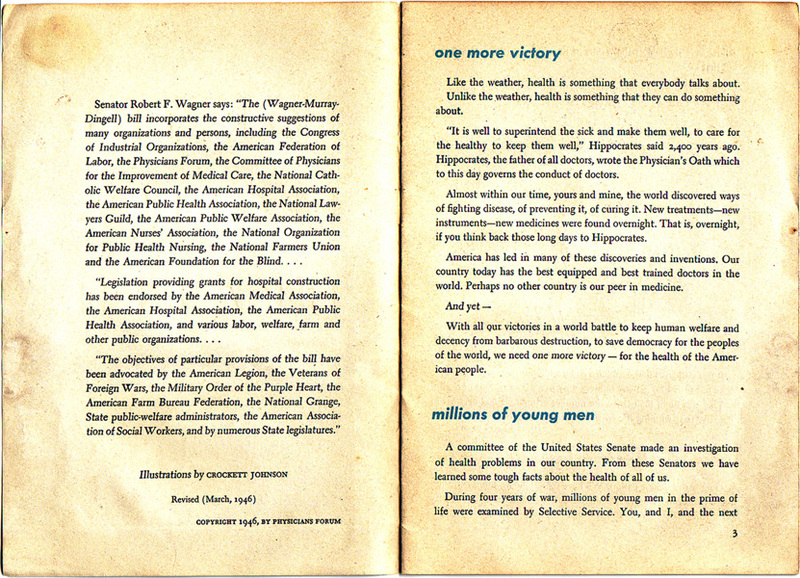 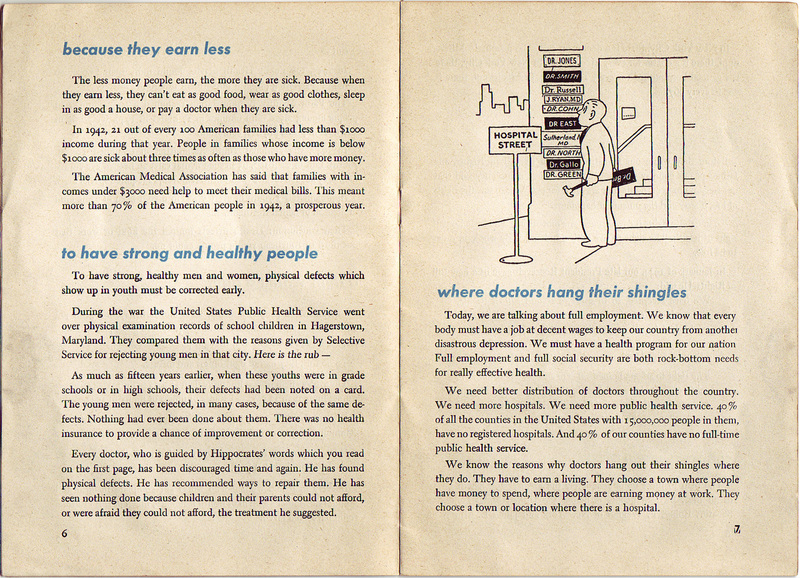 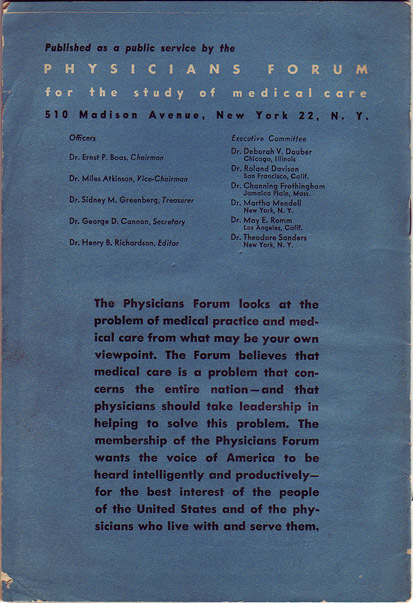 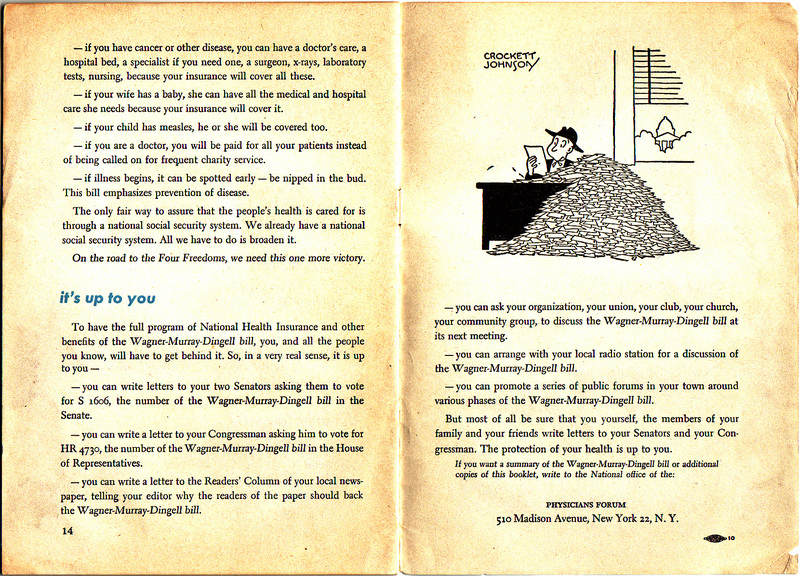 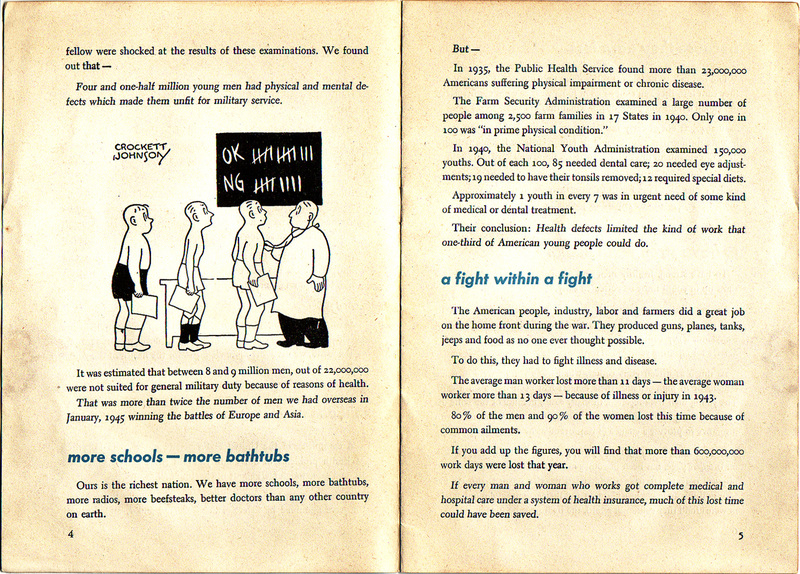 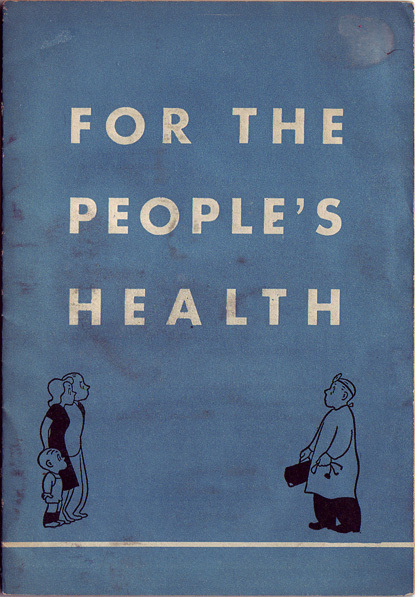 In support of the 1946 bill, the Physicians Forum published a pamphlet, For the People's Health, with illustrations by Crockett Johnson. Last updated Monday, March 8, 2010 .